We have enough to worry about as professional photographers, dealing with deadbeat ad agencies, stressed-out brides, and clients who wonder why we don’t do three or four extra days work without charging. Do we now have to worry about getting radiation poisoning from radioactive lenses? I own one of these so called radioactive lenses, a Canon 55mm f/1.2 lens like the one in he video above, so decided to look into the question further. My answer is – I don’t think so, but let us get some facts up on the table for your own consideration on radioactive lenses. Radioactive lenses are due to the use of Thorium as an ingredient for glass elements & coatings used from the 1900’s thru the 1970’s when its use was halted. Thorium oxide is highly refractive and low dispersion, with a crystalline structural similar to calcium fluorite. Like fluorite, its optical properties of high refractivity and low dispersion allows lens designers to minimize chromatic aberration and utilize lenses with less curvature, making them less expensive to produce. Some of the radioactive lenses exhibit a slightly “yellow” hue when viewed against a white colored paper background. Many of these radioactive lenses are considered to be some of the finest camera lenses ever made. But are radioactive lenses safe? Typical radiation levels in radioactive lenses can approach 10 mR/hr as measured at the lens element’s surface, decreasing substantially with distance. 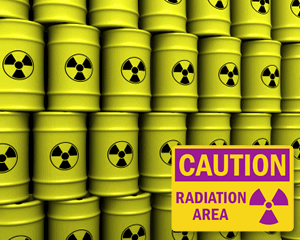 At a distance of 3 ft. (.9 m.) the radiation level is difficult to detect over typical background levels. For reference, a typical chest x-ray consists of about about 10 mR, a round-trip cross country airline flight exposes a passenger to 5 mR, and a full set of dental x-rays exposes the patient to a radiation dosage of 10 mR to 40mR. I am certainly not a nuclear chemist, but a real nuclear chemist (a university professor) wrote about thorium danger in lens glass, and thorium lens coatings, on one of the forums I read awhile back. I can not find the reference just now, but I will try to summarize his writing, along with my own research, and my studied recommendation. 1. Thorium is primarily an alpha particle emitter, which means radioactivity that is short lived, and blocked totally by almost anything, including a glass front filter or even a lens cap. 2. Don’t grind the glass up then SNORT IT! That would coat the small sacks in the lungs with alpha emitters. Not good. 3. Do not scrape the coatings off of old lenses and snort that either. See #2 above. 4. Other than these two outrageous behaviors, my research show these lenses present no serious health risk. 5. However, just to be sure or if you are worried about it, the use of a front glass filter is recommended, as is the use of an appropriate lens cap. Between the two, little if any alpha radiation will escape. http://camerapedia.wikia.com has an excellent compiled list of known radioactive lenses if you want to check on some of your own. Previous Post WPPI 2014 – Get ready for Las Vegas!